Bushwood Area Guide - What makes Bushwood so great? Where do Bushwood locals go? Share your favourite place to go to in Bushwood. My offices recently moved to Stratford, so now my commute is just 5 mins on the Central Line from Leytonstone tube station! Used to live West, but Bushwood Area has none of the space compromises and bigger Victorian houses and gardens on more friendly streets. I’ve woods and ponds like you wouldn’t believe at the end of my road. Bushwood is so easy for shopping – all the big places, John Lewis, Waitrose, Superdry, Hollister are all just two tube stops away from Leytonstone at the enormous Westfield. This leaves Leytonstone High Street, especially the main Bushwood part, with all the cute, indy cafés and bars you really want, just moments away. Balance of tranquil, tree-lined streets and proximity to work in Central London. My husband is always home from city in time to see kids to bed. Every size of Victorian house in a friendly few streets. Bushwood Area of Leytonstone is so perfect for families. Also love the villagey feel of cottages in Browning Road. I’m a massive foodie and the Bushwood end of Leytonstone is booming with indie cafés and eateries opening up. Dead lucky to get in on a Victorian house in one of the leafy streets. Bushwood is a quiet haven just off a buzzing high street, so it’s urban London living without any of the downside. I go jogging in the open green spaces of Wanstead Flats, which is less than 5 mins away. Leafy Victorian streets with loads of family-owned homes in Bushwood, It's close to the tube and before the Central line splits. Area is really on the up with loft and rear extensions going up everywhere. No wonder people fight so hard for the flats and houses round here. Never moving! The great vibe and real community feel. The local residents' group even host parties for neighbours to get to know each other. You can't beat Bushwood in Leytonstone. Hearing the bells of beautiful St John's Church in the heart of Bushwood, as I take Angelino, my Bichon Frise for his walk in the woods by Wanstead Flats. Being able to host friends for garden barbecues in real space and still be at my desk in Finsbury Square in 20 minutes every morning. Bushwood gets better by the week. Never seen such a fast improving high street and the properties are gorgeous – Victorian houses on tree-lined streets. It's real London, the perfect bridge between urban and suburban. Knocks the socks off of so many areas and still remains amazing value. Bushwood is the best area of Leytonstone. I moved to London 5 years ago from Sweden. So happy I bought in Bushwood last year. Love it. It's right by the village with a beautiful church and next to stunning parkland called Wanstead Flats, with ponds and forest. Adore Dim Sum at Panda on Leytonstone High Street followed by pancakes at Sunflower Cafe. Yum. And I am at work in the City in fifteen minutes!! 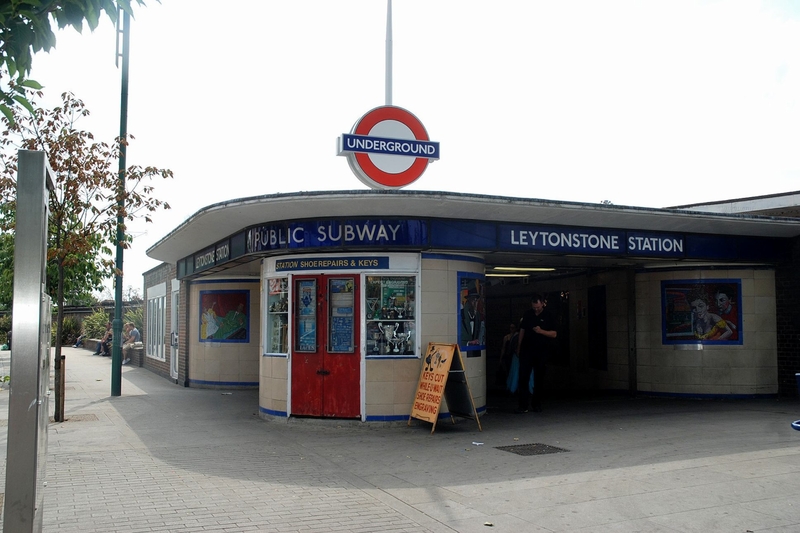 And not only in theory, because Leytonstone is on the Central Line in Zone 3. I know lots of areas in London half as good and twice as expensive. Bushwood is an undiscovered gem. Bushwood has everything. Wanstead Flats is as big as Hampstead Heath and on your doorstep. Leytonstone tube station is round the corner and the Central Line can have you in Oxford Street in half an hour. There are fab cakes in the Wild Goose Cafe, the Red Lion for lunch, The Olive for dinner... And with the Bushwood Area Residents Assoc (BARA) organising social events for neighbours, it is a massively friendly area. Won't be long before it is the Chiswick of the East! What do you think of Bushwood? Do you live in Bushwood, or have you lived in Bushwood recently? If so, let us know what you like about living in Bushwood. Feedback about living in Bushwood has been submitted directly by the public and may not neccessarily reflect the views of Foxtons. The description of Bushwood was modified from Wikipedia and is available under the Creative Commons licence. Land Registry data is Crown copyright. All the views and contributions contained within Foxtons Local Life are those of the contributors. All content is assessed before publishing for taste, however free opinion is encouraged. Foxtons accept no payment or sponsorship for content that is posted about Bushwood.